I stayed an extra day in Europe dedicated to birding. 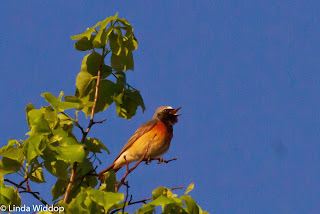 There isn't much information about birding sights that I could find, so I hired a guide to help me make the most of my time in Poland. Tomasz owns a tour company called Wild Poland. They focus on taking groups out into one of Europe's remaining old forests to look for Bison (yes, Bison), Moose and Wolves. They also take people out birding for specialty species that are usually found in Eastern Europe (aka former Soviet Union). As you can imagine, not much birding goes on in places like Belarus, a country that was only 1 mile away and yet totally inaccessible to us without a visa, etc, etc. The good news is that the birds don't understand political borders. They just want to go where the habitat is good for them to raise babies. Tomasz recommended a lodge for Friday night and met me there at 4 AM (yes, AM) to start our day. Poland is far enough north that it was already light enough to go out at that ungodly hour. It was really cold but we immediately saw some of the eastern specialties that we were after including White-backed Woodpecker. 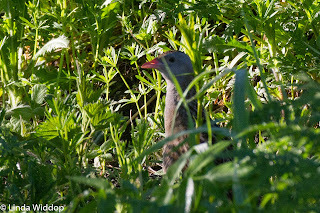 We managed to find a few other special birds in the local Palace Park before breakfast. 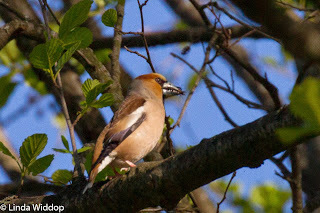 This one is Hawfinch - kind of like our Grosbeaks. 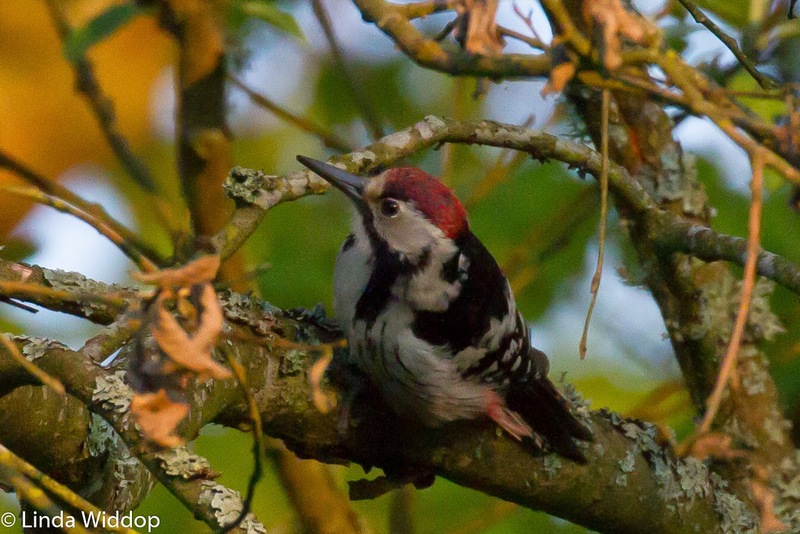 This bird is technically a Woodpecker, but it didn't really act like one. He mostly sat on the branch like this rather than skinnying up and down the trunk like other woodpeckers. This bird is called Wryneck. I caught him mid-song. Warblers in the US are little bundles of colorful joy. You may remember seeing photos of them from past posts and you will probably see more photos in future posts. 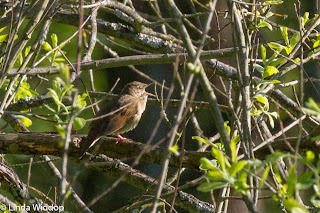 That is not the case in Europe where all of the warblers are dull "LBJs" - little brown jobs which can mostly only be separated from each other by song and habitat. We found a bunch of the them throughout the day. 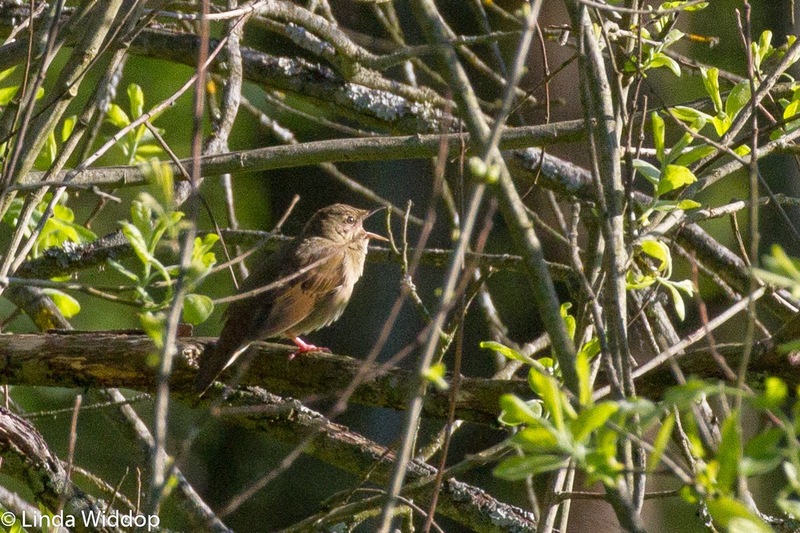 Here are 2 very different warblers. 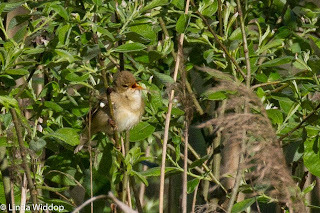 The first is Marsh Warbler. 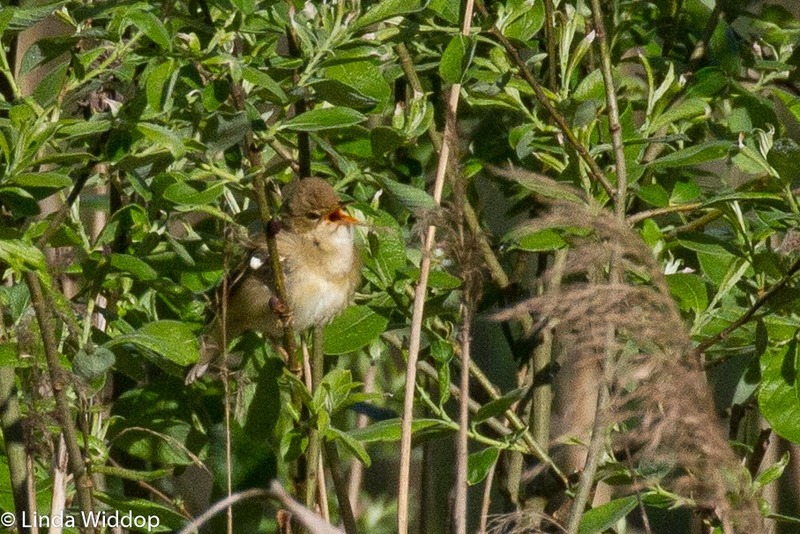 This one is River Warbler. See how different they are? NOT! If I didn't hear the difference in song, I would never be able to tell them apart. 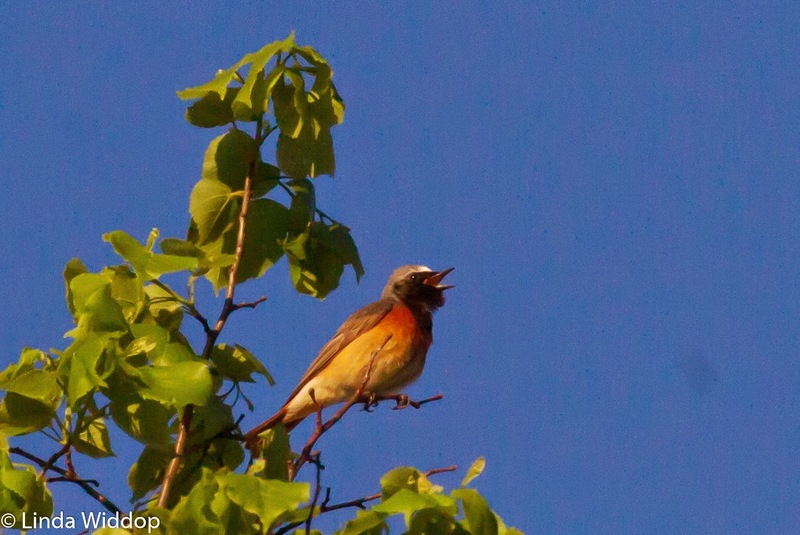 After such drab birds, this Common Redstart was a refreshing sight. Once again, caught in mid-song. 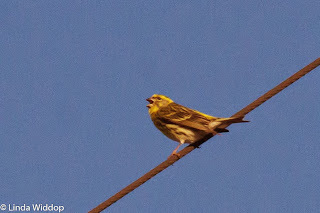 And this little Serin sat out for us nicely - singing. This is an odd looking bird. Reminds me of a Pug dog with pushed in face. 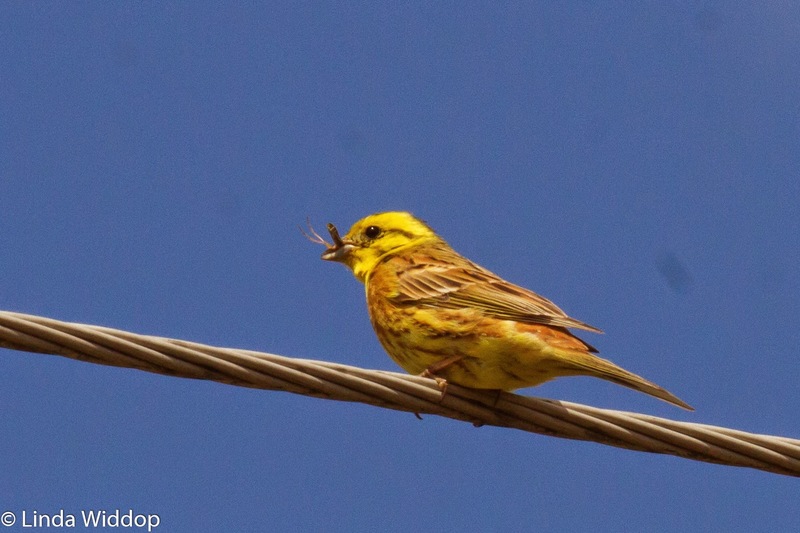 Yellowhammers are also brightly colored. I missed out on seeing this bird in the UK even though they are listed as common. Here is one with nesting material. 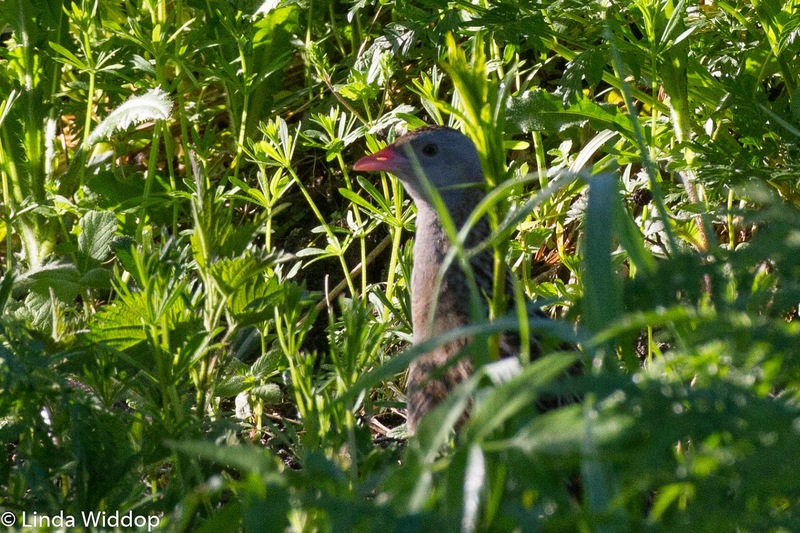 THE bird of the morning had to be this secretive Corncrake. 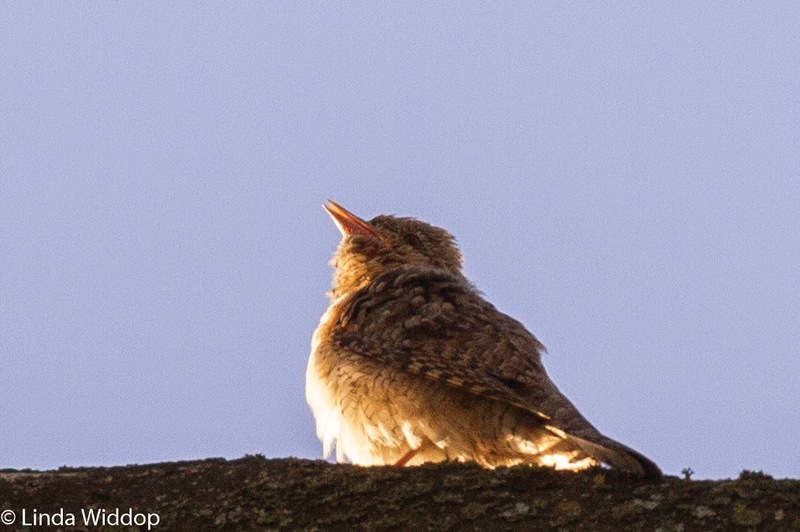 This bird is in the rail family and most birders will tell you that they are really difficult to see. This one was skulking around in 6 inch tall grass about 10 feet away from us and we absolutely couldn't see it until it finally popped up to take a look at us. Tomasz had a tape of the call which he was playing. I don't generally agree with that method since I think it makes the birds crazy but it seemed like Tomasz knew what he was doing. Anyway, the bird came around to investigate us and then went about his business without distress. It was pretty cold that morning so we popped back to the lodge for a hot cup of tea and some breakfast before heading out to the nearby lake/marsh. More on that later.